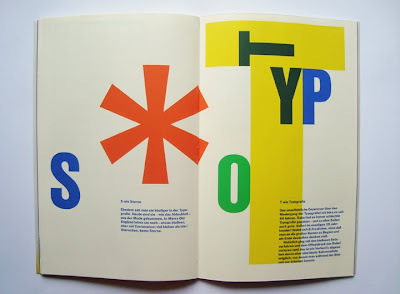 One of the contemporary greats of book design, Jost Hochuli, published this booklet, Typografisches Allerlei (meaning Typographic Variations) in Switzerland in 1997, for the Swiss imprint, Typotron. 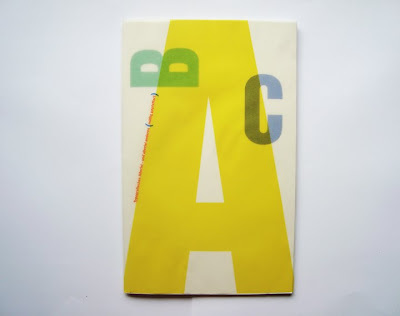 As part of a series of booklets on typography and design published between 1983 and 1998, Hochuli's ABC book on typography still looks fresh nearly 14 years later. BTW, the German word Aldusblatt is a printer's ornament or fleuron. 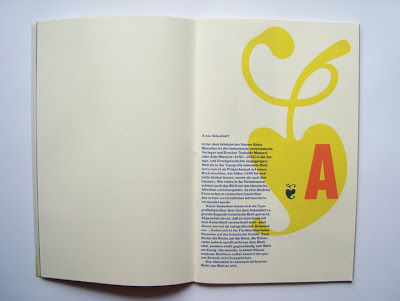 It comes from the great Italian printer Aldus Manutius who frequently used the heart-shaped leaf as decoration in his books.